I was lying in a burned out basement with the full moon in my eyes. I was hoping for GPU replacements when the sun burst through the sky. And I suddenly realised there was a glut of them appearing in eBay listings across the world. 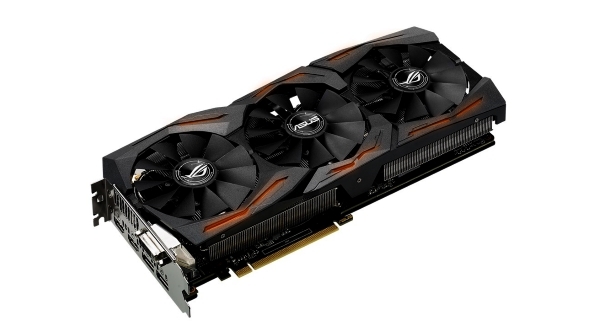 If you’re after a shiny new card your choice is more limited, but there are still some great options in our list of the best graphics cards to buy right now. With an air of inevitability, bust has followed the Ethereum boom times, and so a huge chunk of thegraphics cards snaffled up for cryptocurrency miningare starting to find their way out to the second-hand market. The way cryptocurrencies work is the algorithm gets progressively more complex and harder to solve the more units of a given currency are produced. That means there inevitably becomes a tipping point where the cost of the energy required to continue mining the currency outstrips the return. At this point, any homebody miners with a couple of GPUs in their machines aren’t going to be getting a whole lot out of their investment and will, in fact, have to start paying for the privilege. 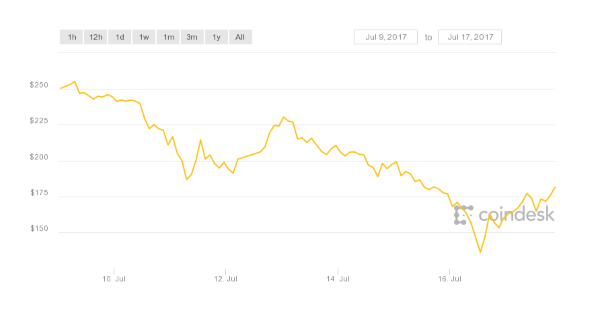 And that’s where Ethereum is starting to get to at the moment. You can tell, because the actual price of the currency is on the wane too; just look at the price drop in the last week alone. 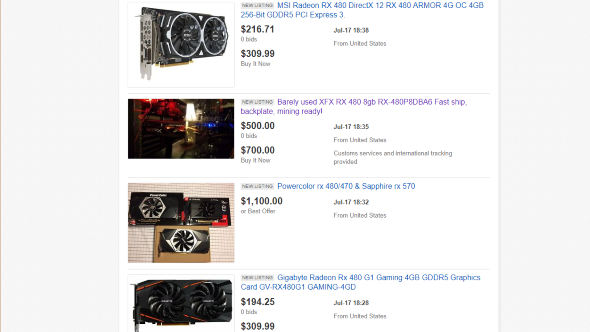 The boom times seem to have passed for the latest crypto-mining superstar, and so there are a lot of folk trying to recoup the cost of their extra GPUs by flogging them on eBay. Just check out the number of AMD RX 480 cards that have popped up on the second-hand site in just the last couple of days. There are some very ambitious listings with some folk asking $500 for an 8GB RX 480, but that ought to settle down as people realise the second-hand supply is seriously out-stripping the demand. There is still precious little stock on the shelves of the retailers for any AMD Polaris-based cards if you’re looking for new cards, but the fact the second-hand market is being flooded should bring the prices back to normal when genuine new stock arrives for both AMD and Nvidia. Though it might be interesting to see how many new Pascal-based GPUs start to come back into circulation when we start to see stock coming back into the standard retailers. It might be a good yardstick for just how close we are to seeing consumer-ready Nvidia Volta graphics cards in the real world. I was thinking about what a friend had said, I was hoping it was a lie. But as Overclock3D point out, this isn’t going to be the last time we see a cryptocurrency boom. New smart currencies will be created, which follow the same trend as Ethereum, and they will likely drive up prices of gaming GPUs once more for their short time down in the mines.